Guy E. Mattson ’01, is an associate attorney at TSR Injury Law in Bloomington, MN and loves it! This news was submitted using our Submit Your News form. If you have any news you'd like to share, please let us know! Emily Kuenker ’10 recently accepted a position as a Youth Director at Glory of God Lutheran Church in Wheat Ridge, Colorado! This news was submitted using our Submit Your News form. If you have any news you'd like to share, please let us know! Jake Heckenlaible ’98 recently accepted a position as the Vice President of Sales and Merchandising with Fresh Industries, an import furniture supplier. This news was submitted using our Submit Your News form. If you have any news you'd like to share, please let us know! Calleigh Michelle Juhlin born on September 28, 2011 to Kristen Peterson Juhlin ’03 and Nicholas Juhlin. This news was submitted using our Submit Your News form. If you have any news you'd like to share, please let us know! 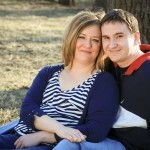 Amanda Marotz ’00 will be marrying John Roemer on 7/21/12 in Gretna, NE. This news was submitted using our Submit Your News form. If you have any news you'd like to share, please let us know! We are thrilled to announce the birth of our son Bjorn Kyle Rudser on May 2nd, 2012. Bjorn is already excited to attend our 10 year class reunion in October! This news was submitted using our Submit Your News form. If you have any news you'd like to share, please let us know! Baby boy, Greyson Thomas Edstrom, was born on December 24, 2012 to Erik Edstrom ’98 and Amy Edstrom. This news was submitted using our Submit Your News form. If you have any news you'd like to share, please let us know! Julia Kruchoski Meyer ’09 was married to Blake Meyer on January 2, 2012. This news was submitted using our Submit Your News form. If you have any news you'd like to share, please let us know! Laura Danielson ’09 graduated from William Mitchell College of Law in May with a Juris Doctor. This news was submitted using our Submit Your News form. If you have any news you'd like to share, please let us know! On May 5, 2012, Bob Wieman’s children gave him a 90th birthday party–it was a smash–75 guests. 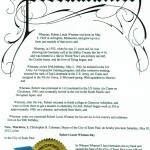 Among many good things that happened, Bob was given a CITY OF ST PAUL PROCLAMATION by Mayor Christopher Coleman. 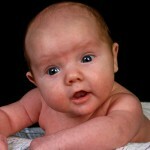 Baby boy, Charles Thomas Kidd, born on January 11, 2012 to Brie Gauthier Kidd ’00 and Aaron Kidd. This news was submitted using our Submit Your News form. If you have any news you'd like to share, please let us know! Allie Skjerven ’10 was accepted into Hamline University’s Master of Arts in ESL program and will be pursuing the Adult ESL Education strand, starting in the fall of 2012. This news was submitted using our Submit Your News form. If you have any news you'd like to share, please let us know!